I began teaching in a fully desegregated high school in 1980 under J.A. Freeman, one of the three black principals who survived desegregation as a high school principal in North Carolina. As a young teacher, I embodied the vision for integration. I was the product of a desegregated high school and an elite, predominantly white college. No one I knew talked about the massive firings of black teachers and principals across the South as retaliation during desegregation. I knew nothing about the activities of the black principals and teachers who worked against inequality in formerly segregated schools. In fact, from my perspective, segregation was simply dead. So I ignored the whispers about the earlier life of my principal who had led the segregated black school and instead focused on how to be a good teacher. As a teacher in the early 1980s under the supervision of one of the few black principals who was not fired after integration, Vanessa Siddle Walker learned how to be supportive of students and encourage their highest potential. I learned to engage with colleagues as we reviewed major education reports at faculty meetings and discussed in small groups how we might apply the ideas in our school. It was normal for my principal to appear unsolicited in the door of my classroom and listen for a few minutes before quietly departing. I heeded his instructions that all teachers should greet students as they entered and exited class. I especially remember the academic competition with the neighboring, formerly all-white high school across town. Whenever Mr. Freeman used the school intercom to interrupt instruction and announce that we had beaten the more privileged students across town on standardized test scores, the school erupted with enthusiasm. Looking back, I realize that I learned to teach in an extraordinary educational space. Only now have I come to see that I lived the kind of school climate that black educators across the South had envisioned for all children in their hopes for integration. Mr. Freeman was executing that vision. The Georgia delegation to the American Teachers Association meets in Miami before desegregation. The representation of all states at these national meetings and the ability of the state networks to disseminate the ideas helped teachers provide consistent support and learning throughout all black schools in the South. Not long after that first job, I left teaching—not because I didn't enjoy it, but because I wanted to learn more—to become a scholar of African American educational history. For almost 30 years, I forgot about Mr. Freeman's school as I wrote about the segregated schooling of African American children in the pre-Brown era. With a freshly minted doctorate directing my thinking, I was surprised to hear members of a southern black school community talk about their "good" segregated school. I frowned. What could possibly have been good in a segregated school? The answer to that question yielded my first single-authored book, Their Highest Potential: An African American School Community in the Segregated South (University of North Carolina Press, 1996). I discovered that while scholars had already chronicled the problems with black segregated schools—the poor facilities, the inadequate resources, and the constrained education that occurred because of lack of opportunity—that history had failed to capture the resilience of a people. I wrote about Caswell County Training School (CCTS) in North Carolina, using more than 100 interviews and archival findings from basements and attics to showcase the rich educational environments that black educators created despite the neglect of the local school board. I found many amazing stories about the professional teaching and collegial behaviors of teachers and principals and about the opportunities the school provided for teachers, including study groups and travel. CCTS also supported the aspirations of black children by creating a school climate that embodied both interpersonal and institutional care, meaning the individual messages of care between teachers and principal were reinforced by school policies. In addition, black parents ardently supported the school, both as advocates in petitioning the school board and as ongoing resources to finance school needs. The school's principal, N. L. Dillard, was a visionary and a community leader. Whenever I'd give a lecture or presentation about my book, I'd be surprised to hear from black people in the audience who had themselves attended high-quality segregated schools. "I went to a school just like that," they'd say. They even often used the same language to describe their schools. It seemed that their teachers and administrators wanted students to reach "their highest potential." I had thought that CCTS was an anomaly, but people's stories made me wonder: How could so many segregated schools mirror those in the school about which I wrote? That research led me to more fascinating information and, eventually, my next book, Hello Professor: A Black Principal and Professional Leadership in the Segregated South (University of North Carolina Press, 2009). In this work, I explored the accounts that teachers and students at CCTS gave that their principal had "gone to a lot of meetings," drawing on my intrigue with how little anyone was able to explain exactly what these meetings were or what the principals learned. I focused on principals of segregated schools and the extensive networks of professional support they had, including their activities at the American Teachers Association meetings and the Association of Colleges and Secondary Schools, when black educators met together nationally. I also looked at records of their state and local meetings. While the structures of these black organizations mirrored those of the white professional organizations from which they were excluded, the black organizational network differed in purpose, autonomy, accountability, and commitment. Black educators focused specifically on the needs of black children in school and the ways they might solve the problems the children confronted. Among their conversations were topics such as professionalism, teaching responsibility, civics, testing, and guidance. Their ideas filtered through national meetings, state meetings, regional meetings, and small study groups and can be documented with extraordinary content consistency over decades and into the practice of individual schools. Tracing this undocumented pedagogical world was illuminating. This network, I recognized, was a major reason why CCTS was such a good school, and why the people I met all had similar experiences at their segregated schools. As I researched the work of these quiet, steadfast black education leaders, I began to learn even more about their professional vision and activities. Horace Tate had been the executive director of the Georgia Teachers and Education Association in the decade before school desegregation. When black education records were destroyed across the South and black educators were fired after desegregation, Tate hid the records of the GTEA. Just before he died, he directed me to the hidden archival treasure up a tiny stairwell into the attic of an old home—a full collection of the records of a black educational organization, unveiling activities from World War I to 1970. J.A. Freeman, one of only three black principals in North Carolina who kept his job during desegregation, believed in maintaining consistent communication with his school community, reporting regularly about the achievements of his school in detailed reports. In these records was another facet of the segregated school world. Black educators did not merely use their intricate networks to disseminate pedagogical ideas that would inspire black children to succeed in a challenging and inequitable school climate, but they also used those networks to create advocacy structures to undermine segregation. Through their educational organizations and networks, these educators generated the invisible collaborative activity that supplied money, data, and plaintiffs for the Brown v. Board of Education decision. In quiet, collaborative spaces, the leaders of these organizations—along with brilliant lawyers and courageous parents—created a mechanism of advocacy for African American school children that stretched through the U.S. South. I tell this story of generational struggle and vision in my latest book, The Lost Education of Horace Tate (The New Press, 2018). My collective 30 years of writing and research about the segregated schooling of African American children have led to a simple conclusion that helps explain the world in which I came of age as a student and teacher: Black educators believed desegregation should be an additive model. More specifically, they wanted desegregated schools to provide for students all the structures they had created to sustain those students in segregated schools plus providing them the equality and resources they had been denied in the segregated schools. In segregated school environments, schools encouraged black students to aspire, to believe they could be anything they wanted to be—even though the children lived in a segregated world. Black educators were building resilience to overcome the challenges the children confronted daily while also preparing them for a world that did not exist. Likewise, black educators already had elaborate networks to advocate for their students. These intergenerational, nationally connected networks provided a way to translate the needs of individual school communities into an advocacy structure linking legislators and lawyers and other stakeholders. However, events unfolded differently in 1970 and beyond. America settled for a quiet kind of desegregation compromise between advocates for integration and defenders of segregation that allowed black bodies into white schools, but failed to fully address the actual educational interests of black children. Unreprimanded by a federal government that was no longer committed to full equality but just needed the language of equality for international standing, southern school boards that were opposed to integration fired black teachers and hired white teachers in their place. They closed black schools or demoted them to middle or elementary schools. Because white school boards seemed to believe that black principals did not have the educational capacity to run a school, especially a school in which they would supervise white teachers and oversee the education of white children, black principals were often forced to forfeit their leadership positions. Likewise, the merger of black educational organizations with white educational organizations through the National Education Association meant that the legacy of white educational organizations dominated the newly integrated associations. Even in the best mergers, the agenda of advocacy to protect the needs of black children diminished. In the climate of massive southern desegregation, black educators discovered that they were the victims of an exchange model through which they traded the aspiration and advocacy that had defined black education for the slim hope of access without support or even their own involvement. To many of these educators, the Brown v. Board of Education decision, designed to protect the interests of black children, actually protected the interests of white children. 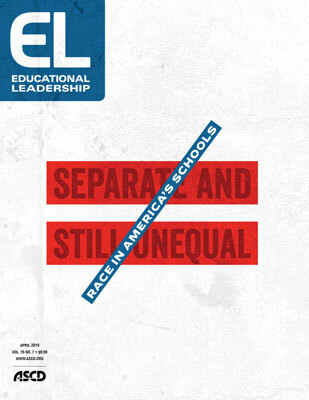 Black educators voiced their concerns as the effects of desegregation became clear. Limited access was not enough. In publications and in forgotten speeches, black educators in Georgia argued that school boards were still 99 percent white. These administrative bodies had no history of protecting the interest of black children, so how could they be expected to create a desegregation that was fair and equitable? Moreover, with black educators fired, who would teach the children they could be anything they wanted to be? Who would advocate when new structures did not protect them? But their concerns about ways to implement a more visionary desegregation went unheeded. I did not know any of this history back when I taught under Mr. Freeman. All I knew was that we had a good school—one where educators were expected to teach all our students to aspire and where educators intervened, as necessary, to protect students' interests. What I understand now is that Mr. Freeman simply brought with him to our desegregated school the vision black educators had for all desegregated schools. I have also since learned that his professional mentor during segregation was N. L. Dillard himself, the principal who I had researched for Their Highest Potential. How ironic. As a student and teacher, I had lived the hopes of those whose stories I would later write. Sometimes people ask if the history of black educators under segregation is just, well, old and irrelevant in today's complex educational world. I might think so, except that I sometimes see parts of the aspiration, advocacy, access formula work successfully in current schools. For example, over five years, I watched Pamela Benford, a former principal of Cedar Grove High School in Atlanta, who had been mentored by another black principal from the segregation era, foster aspiration in an urban school environment and advocate for her students. Her teachers developed into professional leaders in content-driven faculty meetings. The faculty worked individually and institutionally to create a caring climate for students. Benford stretched herself through external professional networks. And the students respected and loved their school leader. When I remember Ms. Benford at her school—and her awards and her school's continually rising test scores—I am reminded of Mr. Freeman. And of Mr. Dillard at CCTS. Dr. Horace Tate, executive director of Georgia Teachers and Education Association, led the push of black educators to establish a vision of how integration could work successfully for all children. I believe in integration. I am its product, one of the many in that first desegregation generation who succeeded when the doors were thrust open for us. But an ongoing, successful vision for integration cannot stop with the 1970 version we experienced if America is to support a democratic principle for all children. We must continue to harness effective legal strategies in an era when the country is fast retreating in its commitment to access for all children. We must also resurrect the original vision for integration sought by those who fought the longest and sacrificed the most. In addition to creating schools that meet all state curricular requirements, we must commit ourselves to stronger professional preparation and professional learning opportunities so all educators can embrace strategies to allow schools to become places where the aspirations of children can soar. We need renewed organizational collaborations that cross disciplinary areas and that connect higher education and school communities, partnerships that allow a collective advocacy for the needs of all children. About a decade ago, I went back to visit the high school where I first taught, even though Mr. Freeman had long since retired. I walked into the building expecting wonderful memories to flood me. Instead, I balked at the entrance and walked the halls with dismay. The school looked almost completely foreign to me. By every measurement variable I could observe, it appeared to have adopted the characteristics associated with any other struggling urban high school. Sadly, the vision for aspiration, advocacy, and access appeared to have departed with Mr. Freeman. 1 See The Lost Education of Horace Tate (The New Press, 2018), p. 8. 2 Walker, V. (2018). The lost education of Horace Tate. New York: The New Press. Vanessa Siddle Walker is the Samuel Candler Dobbs Professor of African American Educational Studies in the College of Arts and Sciences at Emory University.